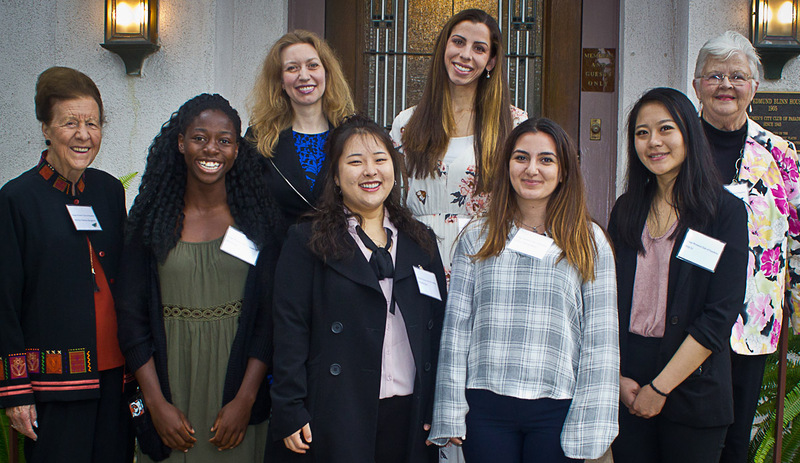 Eleven women representing five area colleges were recently awarded scholarships at the College Women’s Club of Pasadena annual award luncheon held at the Women’s City Club. Gathered in the venerable Edmund Blinn House on May 1st, the Club announced awards totaling $40,500 for the 2018-19 school year, a record amount for the nearly 100-year old scholarship program. Awards went to outstanding women from Glendale Community College, California Institute of Technology, Art Center College of Design, Fuller Graduate School of Psychology, and Occidental College. The more than $1.5 million that generates the Club’s annual awards is in a permanent endowment held and managed by the Pasadena Community Foundation (PCF). The record amount given away by the Club’s Scholarship Foundation this year was bolstered by robust growth in 2017 that saw PCF’s assets grow by more than 20%, which was number one in its asset class for community foundations nationally. San Gabriel Valley college students awarded scholarships include Glendale Community College student Kristine Shahverdyan, awarded the Barbara Johansen Memorial Award, and Caltech’s Maitreyl Ashok was the Ruth Alcorn Memorial Award Winner. Two Art Center College of Design students named include Miranda Lapour, who took home the Julia Lockwood Memorial Award, while Michelle Kim was given the Carol Numrich Memorial Award. Three Fuller Graduate School of Psychology students awarded fellowships include Lauren Ahlquist, the Hazel Harken Memorial Award; Angela Dupont, recipient of the Helen and Marie Salandra Memorial Award; and Kimberly Griswold Tejada, recipient of the Mary McCullough Memorial Award. 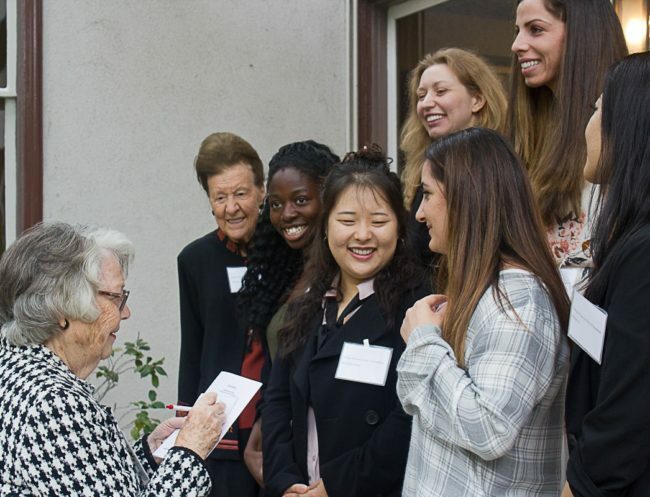 Occidental College is represented by four awards, including Elena Daniel, the Mary O’Hearn Memorial Award; Lena Etoka, the Josephine Crocker Memorial Award; Darla Howell, the Carol Kretzer Memorial Award; and Betsy Li, the Louise Hamm Memorial Award. The President of the College Women’s Club of Pasadena is Fran Banta and Chair of the Scholarship Committee is Marilyn Siemon-Burgeson. Memberships in the College Women’s Club of Pasadena is open to any woman interested in the club’s engaging opportunities. College affiliation is not expected. The scholarship committee is only one of the club’s diverse activities. Members and guests share monthly luncheons, tour regional attractions, and perform volunteer service. For more on the College Women’s Club, click here.